26th Match Of World T20 Cricket 2014 (England vs South Africa): 26th Match Of International World Twenty20 2014 is held between England and South Africa (ENG vs SA) on 29th March 2014. This is a match of Group 1 on super 10 stage of twenty20 world cup to qualify for Semi-Finals. South Africa won the match by 3 runs. South Africa (SA) got 2 points and England (ENG) got zero points for the match. South Africa vs England (SA vs ENG): England won the toss and choose to bowl first. South Africa got a fast start and also finishes it well and scored 196 runs 5 wickets in 20 overs at 9.80 runs per over. Hashim Amla joins 56 runs (37 balls), Q de Kock joins 29 runs (33 Balls), AB de Villiers joins 69* runs (28 balls), JP Duminey joins 5 runs (5 balls), David Miller joins 19 runs (15 balls), Albie Morkel joins 3 runs (3 balls) for South Africa. England makes a good start but fails to complete the target and only able to make 193 runs 7 wickets in 20 overs at 9.65 runs per over. Thus South Africa won the match by 3 runs. 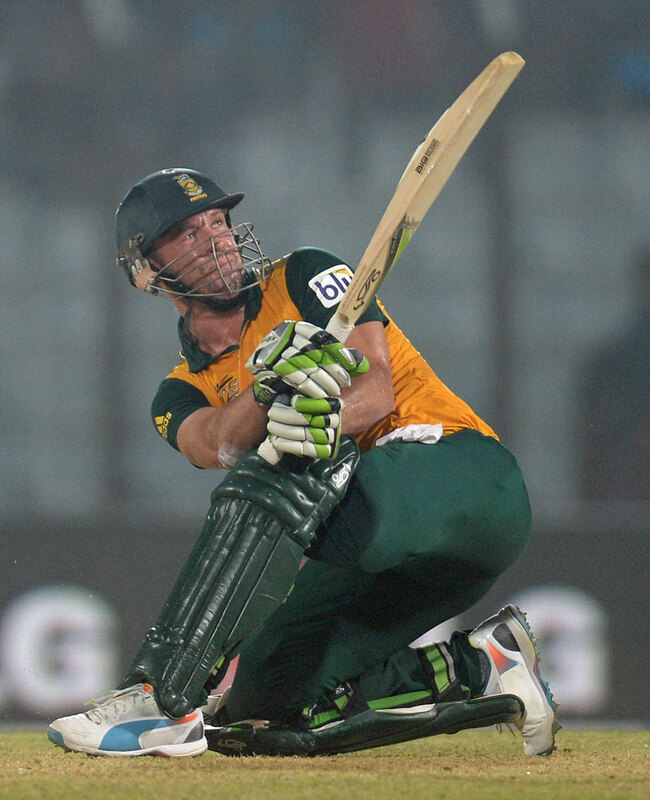 AB de Villiers (South Africa) is declared as the man of the match for his unbeaten 69* runs in just 28 deliveries at the strike rate of 246.42 with the help of 9 fours and 3 sixes.